Alright folks, we’ve been waiting for this. Twitter has launched a new analytics suite that will allow advertisers to see more granular tweet metrics for both paid AND organic tweets. These analytics are long-awaited, as social marketers have had access to a plethora of analytics from Facebook for a long time that have left us longing for more in-depth metrics from other sites like Twitter and LinkedIn. 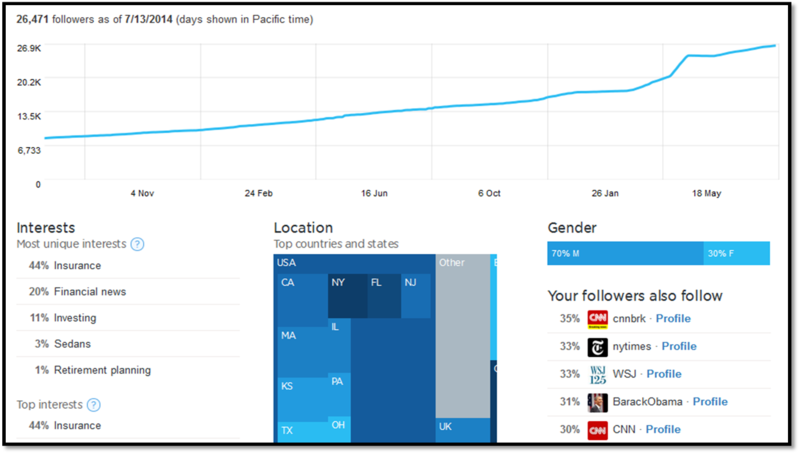 The new analytics feature stats about tweets, followers, and Twitter cards (their new paid tweet offering that can pull in content from websites). Below is a breakdown of the metrics. Impressions: the number of times users saw the tweet on Twitter. Engagements: the total number of times a user has interacted with a tweet. This includes all clicks anywhere on the tweet (including links, hashtag, avatar, username, and tweet expansion), retweets, replies, follows (follows are only collected on paid tweets), and favorites. Engagement rate: the number of engagements (clicks, retweets, replies, follows and favorites) divided by the total number of impressions.